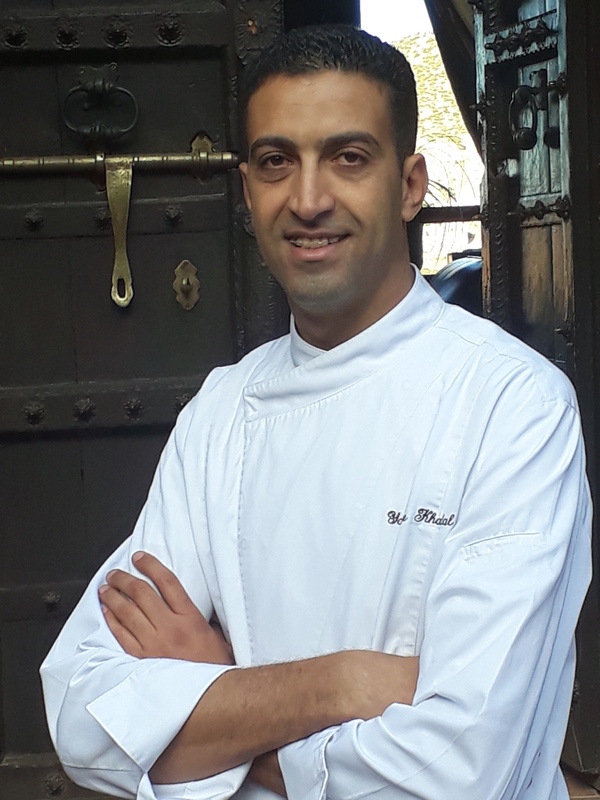 We’re extremely proud to announce that our Executive Chef of Kasbah Tamadot, Yassine Khalal, has been chosen to represent Morocco at the Embassy Chef Challenge in Washington, D.C. on 2nd April 2019. The event welcomes chefs from around the world to celebrate culinary diplomacy and showcase the unique flavours of their home countries in a friendly and delicious culinary competition. Yassine was chosen personally from 10 candidates by Her Highness Princess Lalla Joumala, Ambassador of Morocco to the United States, after she dined at Kasbah Tamadot last year. Born and raised in Marrakech, Yassine has a passion for regional cuisine and will be showcasing a delicious three course menu for attendees to taste. The panel of culinary experts judge the dishes on presentation, taste and how well the chefs represent their countries. We are immensely proud of Yassine’s achievement and wish him the very best of luck! Finely slice the onion and add it to the tagine. Next, add the chicken in a pyramid shape. Toss in the spices, chopped herbs, garlic, ginger, olive oil and a pinch of salt. Sprinkle evenly over the chicken. Place the tagine on a medium-heat and let the ingredients simmer for 15 minutes with the lid closed. Periodically spoon wet ingredients over the chicken to blend the spices, season the meat and create your sauce. Wash, prepare and chop the vegetables. 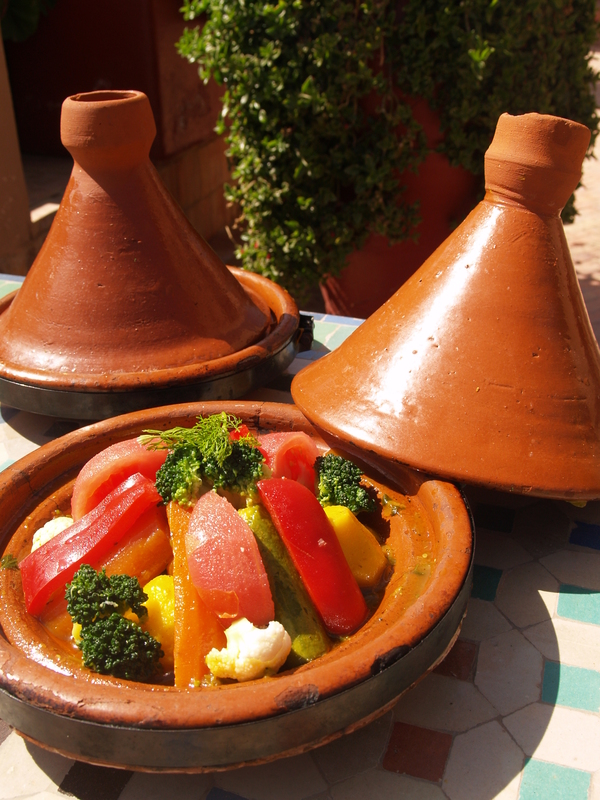 Season the vegetables with salt and pepper and place them over your chicken, keeping to the tagine shape. Add three tablespoons of water to the tagine, return the lid and leave it to simmer for 40 minutes. Add the peas, olives and thinny sliced lemon. Return the lid and cook for another minute. Serve and Enjoy.